Ophthalmology. 2012 Dec;119(12):2493-9. doi: 10.1016/j.ophtha.2012.06.025. Epub 2012 Aug 16. Homocysteine, B vitamins, methylenetetrahydrofolate reductase gene, and risk of primary open-angle glaucoma: a meta-analysis. 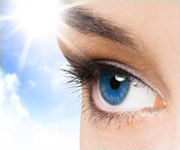 To evaluate the association between plasma total homocysteine (tHcy) levels, serum folic acid, vitamin B(12) and vitamin B(6) levels, methylenetetrahydrofolate reductase (MTHFR) C677T genotype and risk of primary open-angle glaucoma (POAG). There are conflicting reports on the association of Hcy, folic acid, vitamin B(12), vitamin B(6), MTHFR, and risk of POAG. We conducted this meta-analysis to derive a more precise estimation of the association. Pertinent articles were identified through a systematic search of the EMBASE and Medline databases. Results were pooled using meta-analytic methods. The main outcome measure included tHcy, folic acid, vitamin B(12) and vitamin B(6) levels, and MTHFR C677T genotype. Twelve studies were eligible for Hcy, 6 studies for folic acid, 6 studies for vitamin B(12), 3 studies for vitamin B(6), and 10 studies for MTHFR. The combined results showed that plasma tHcy levels in POAG were 2.05 μmol/L (95% confidence interval [CI], 0.63-3.47) higher than in controls. There was no difference between serum folic acid, vitamin B(6), and vitamin B(12) levels in POAG and controls. The weighted mean difference with 95% CI were 0.34 μmol/L (-0.37 to 1.05), 2.75 μmol/L (-3.68 to 9.18), and 0.97 μmol/L (-30.45 to 32.40), respectively. The MTHFR 677TT genotype was not associated with the risk of POAG (odds ratio, 1.10; 95% CI, 0.83-1.47). We found that POAG is associated with elevated plasma tHcy levels, but not serum folic acid, vitamin B(12), vitamin B(6) levels, or MTHFR C677T genotype.